4/2/2019: Spring pollen season has been tough this year. Learn more about how it is affecting folks in Northeast Florida by watching this segment on Action News Jax! 12/18/2018: Please do not store an epinephrine auto-injector in your car, especially during warmer weather! It can quickly lose its effectiveness and make it more difficult to treat anaphylaxis. Read more here! 9/26/2018: Despite being warm outside, the fall pollen is blowing and starting to affect allergy sufferers! Watch this story from Action News Jax for more information. 8/22/2018: There is an Epi-Pen shortage but that does not mean that you or your child need to be without protection. There are some very good alternatives. 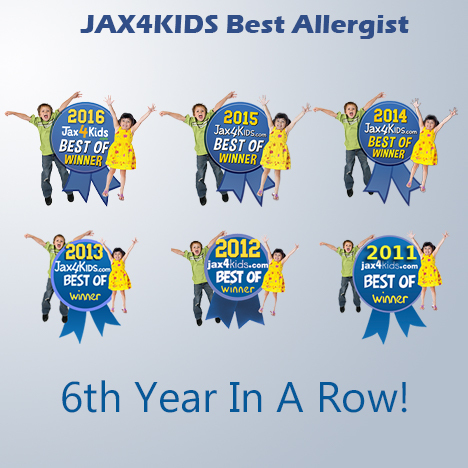 Learn more by watching this story from News4Jax. 7/18/2018: Bee stings can lead to a severe allergic reaction in up to 7.5% of the population. Summer is a time when many of us are enjoying outdoor activities and the risk of a bee sting goes up! Please read this interesting article for more information. 4/21/2018: Some promising information from a new study looking at preventing peanut reactions in those with a peanut allergy. Interesting that 20% still dropped out of the study! Read more here. 8/28/2017: Did you know that only 10% of people who believe they are allergic to penicillin actually are? Its true! 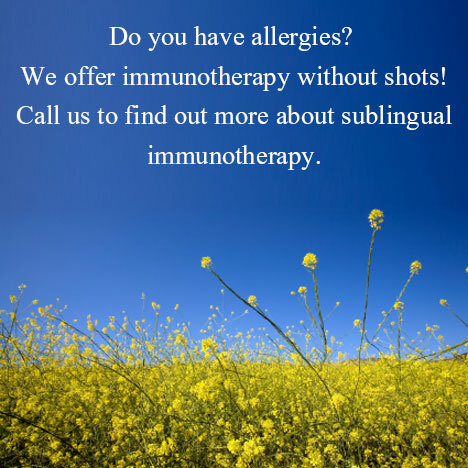 Read more about it here and schedule a time to discuss this with an allergist. 6/20/2017: Yes, there are millions of tiny, dead bugs in your pillows and matresses. Read about dust mites here.